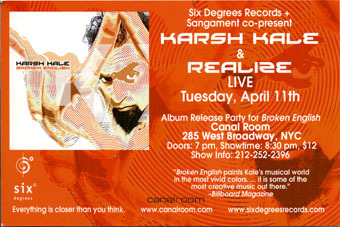 On Broken English, London born and New York raised Karsh Kale balances his Indian heritage with rock 'n' roll, hip hop and atmospheric pop for his most diverse release to date. 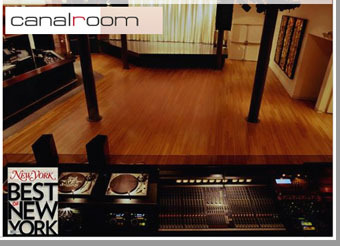 On this, his third studio release, Kale works with a talented cast of collaborators including MC Napoleon and vocalists Trixie Reiss (The Crystal Method), film composer Salim Merchant (one half of the "it" Bollywood composer team, Salim-Sulaiman) and Dierdre (Ekova). 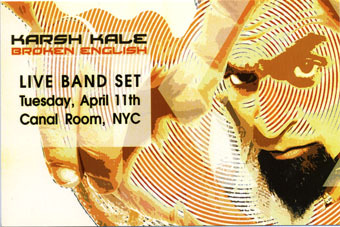 As Karsh Kale suggests, Broken English is an organic mix of rock, rap, electronica, Indian classical, and Indian film music. Think of DNA with five strands instead of two. Trying to separate one from the others makes the whole thing fly apart. 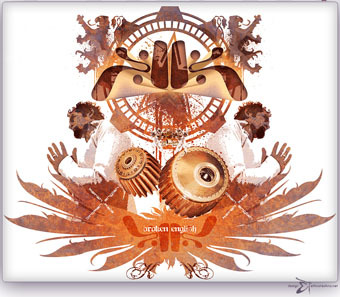 Broken English has several songs that are clearly South Asian in character. The lovely duet "Some Things Are O.K." by Vishal Vaid and Sabiha Khan flows over washes of keyboard electronics and electric bass (played by Kale himself). 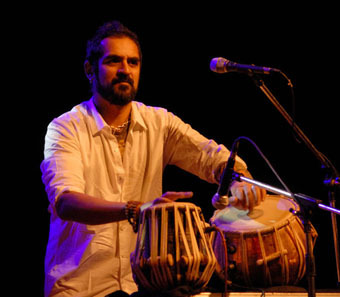 The album's closer, "Rise Up," features the title phrase repeated over a heavily-caffeinated Indian folk rhythm. This collection of songs is more than the sum of its parts. Western-sounding songs like "City Lights" (a largely unplugged bit of indie rock featuring Kale himself on vocals) and "New Born Star" (chilly start, then classic electronica) blend seamlessly with their own South Asian elements and with the rest of the album. One of the most compelling effects of Kale's transglobal music comes from the song "Louder Than Bombs," in which Todd Michaelsen's anti-war sentiment is, inexplicably deepened by Vishal Vaid's Indian vocals. With Western pop having reached into every inhabited part of the globe, it'll be no surprise if the language of music morphs into a kind of international, Broken English. 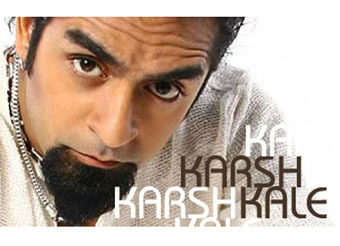 In his own version of Broken English, Karsh Kale offers a glimpse of what that language sounds like.